Andreu Plaza’s side played an uncompromising and hard-fought match against Palma Futsal. The blaugranas secured a 2-0 victory thanks to goals from Ferrao, Aicardo, Lozano and Dyego (2) against a tough team who made it difficult all night. The Catalans go on to face Pozo Murcia in the semi-finals next weekend. 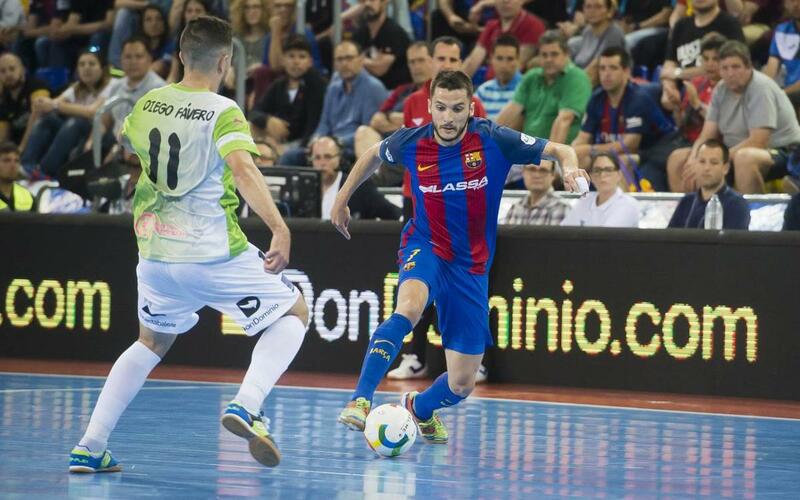 Barça Lassa started the match with intent and went looking for the opener with Ferrao to the fore. However, Palma responded well and had the first shot on target through Paco Sedano. Barça responded through a Ferrao dribble and Joao attempt and they looked threatening even though they couldn’t break the deadlock. Eventually, Ferrao opened the scoring from a Dyego assist after the later had won the ball back deep in his own half. Chances were at a premium but Barça kept trying through long-range Dyego shots. The Brazilian managed to double the lead from a penalty kick just before the break. The start of the second half saw the visitors dominate but the blaugranas stayed in touch. The opposition got one back to make it 2-1 but four minutes later Dyego re-established the two-goal lead with a cool finish after exchanging passes with Ferrao. Palma decided to play with a rush goalkeeper in the last few minutes of the match and Barça Lassa made the most of this with Aicardo and Lozano adding late goals. The victory means Barça Lassa have secured a place in the semi-finals and will face Pozo Múrcia who beat Peñiscola 9-0. The first leg will be on the last weekend of May with the date and time yet to be confirmed.